Since 1998, Dr. Christine Stewart has been passionate about helping families live better lives through traditional chiropractic care and massage therapy. She emphasizes customized care for all ages, with treatment protocols that relieve pain quickly. Fredericksburg Area Chiropractor Dr. Christine Stewart offers modern pain relief and wellness optimization, with an emphasis on state-of-the-art technology. Wilderness Family Chiropractic has two locations for your convenience and features nonrotational adjustment techniques that patients love. Her practice embraces the core values of traditional chiropractic, combined with the benefits of outstanding therapeutic massage. We welcome people from all walks of life to our family-friendly, patient-centered practice. It’s rewarding to help our fellow community members in Fredericksburg to live happier, healthier lives. We’re invested in helping families of every description to prosper. From helping tiny newborns and school-aged children to moms-to-be and active grandparents, we have decades of experience in helping people optimize their wellness potential. We strive to make our office an oasis of care, compassion and comfort. It’s the way we’d want to be taken care of, and we want you to experience that caring for yourself. Because Dr. Stewart is a female, women feel extremely at ease with the gentle and compassionate treatment that she provides. They place their trust and confidence in her experienced care and feel comfortable in sharing heartfelt health concerns. Dr. Stewart adheres to the core values of traditional chiropractic. She features nonrotational techniques in her practice. That means that she doesn’t twist and torque the spine while adjusting you. She also features a deeply respected, time-honored technique called Toggle Recoil. This adjustment approach produces fantastic results for her many patients. Our office provides a technologically advanced assessment for each person that walks through the door. We also partner with our practice members in helping them to receive effective and efficient spinal correction. We recommend customized treatment protocols that result in happiness and satisfaction for those we serve. We’d love to welcome your entire family to our heart-centered practice. Do you have a problem that we may be able to help? 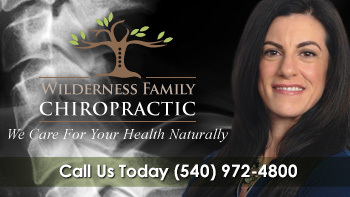 Contact us today and book a free consultation with our Chiropractor Fredericksburg Area. We’re in-network providers and accept Medicare. Great first visit to any chiropractor! I’m not fearful anymore! Thank you! Dr. Chris is genuine … She doesn’t treat you like a “patient” she cares for you as a human being. I was very pleased with the visit. This is my first chiropractic experience and felt that the methods used today could improve my condition. I appreciate Dr Chris’s professionalism, care, and total competency. She is a life saver and has improved my health tremendously! I enjoyed how through my exam and treatment was. Glad to get the help I need. You are thorough and my experience feels very personalized. I already feel much better and am hopeful again.